We are involved in offering a wide range of Injection Moulding Machine for Electrical Industry to our valuable clients. These offered products are used in electrical industry. Moreover, we offer our products in market leading price. Leveraging over the skills of our qualified team of professionals, we are instrumental in offering wide range of Horizontal Block Moulding Machine. 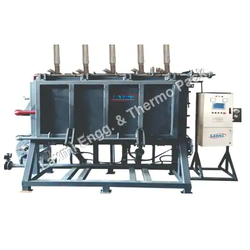 - Including filling, heating, cooling, whole working procedure automatically, adopts all advantages and features of DZ/DF block molding machine. -1200mm*500mm. We can manufacture blocks from density 10KG/m3 to 35KG/m3 and can provide sheets of different shapes, size and thickness. 1. 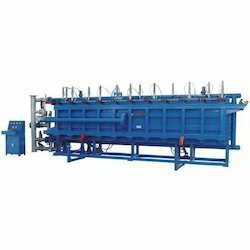 The EPS Block Molding Machine is of oyster type. It adopts PLC programmable controller and touch screen for controlling the mould making, mould closing, material feeding, temperature preservation, vacuum cooling and the whole automatic cycle procedures.